This is the first post in our blog and is the right time to explain few things. First off all this blog will mainly be related to technical questions, but the first one in our opinion should be something different. This post will be a company presentation and a salutation to all the FDM’s in the world. What? Is not FDM the name of the company? Yes, it is, but FDM is a lot more, is a way to look at the die business, is a way to administrate experiences and to apply them, always keeping everything as easy and simple as possible. Some people will ask themselves what is the meaning of FDM, and some people will just laugh reading these lines, this is just the purpose of this post, to remember that for some people is still possible to whisper to the dies and listen to their talks. 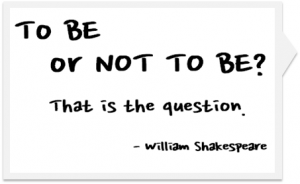 To be or not to be. That is the question. FDMGlobalSolutions is a brand new company but at the same time with a lot of experience and our main goal is to change completely the view of this business always in benefit of the customer. Right now FDMGlobalSolutions is like thousands of consultancy companies, ones better than others, but mainly using the same approach. Our company will be something different, just let us some time, you will realise it if you follow us in the next future. The next technical posts will never be a reinvention of the wheel or a master class lesson about anything, we will post about experiences in the wire and dies business, mainly to satisfy some curiosities and sometimes just and introduction to some points that not everybody knows. In order to finish we would like to thanks to all the people that helped making this project possible. I enjoy the formatting of your post. The headers and bold text make it an easy read. Many thanks, you are very kind.